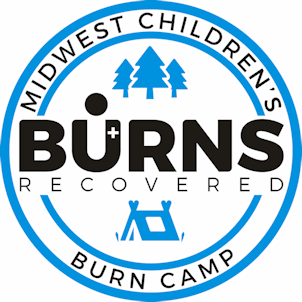 The mission of Burns Recovered is to assist burn survivors in their recovery, support medical facilities in the care of burns in Missouri and educate the public in burn awareness and prevention. Burns Recovered (BRSG) was formed in 1983 by a group of burn survivors and members of the burn care team Mercy Medical Center. Burns Recovered (BRSG) provides support for burn survivors and their families as well as community outreach to increase burn awareness and prevent burn injuries. Our goal is to see every burn survivor live life to the fullest: without limitations, fear, or insecurity. Since 1983, we have provided hope and support for thousands of burn survivors and their loved ones through our peer support program as well as our residential camp for burn injured children. We are honored to partner with survivors, families, health care professionals, burn centers, fire departments, the business community, educators, and other support resources, to be an inspiring and liberating resource for burn survivors and their loved ones. Working together, we help in the prevention and reduction of pain and suffering caused by burns and burn-related injuries. BRSG supports children and adults who have been injured by burns as they make the transition from burn victims to burn survivors. Additionally, since 80% of burns are preventable (American Burn Association), we provide educational outreach to prevent further suffering, injury, and death from fire and burns.